A robot attacked and injured a man at a tech fair in China, leading social media users to question if the machine’s actions were actually the opening gambit in a war waged by robots against humans. 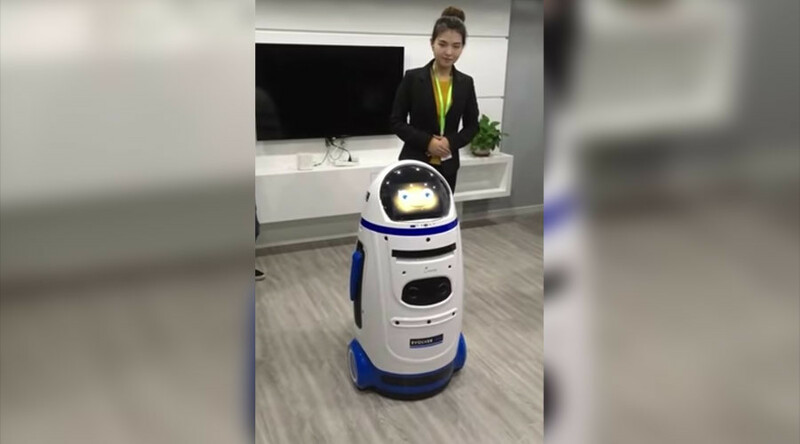 The robot, marketed as an educational tool and on sale for 13,000 yuan (US$1,890), was on show at the 18th China International Hi-Tech Fair in Shenzhen when it reportedly suddenly smashed a glass booth and attacked a man. The victim was taken away in a stretcher for medical treatment, but was not seriously injured. The robot’s apparently unprovoked outburst led people on Twitter and Chinese social media site Weibo to wonder if it was the first shot in a robots versus humans war. “This robot is a pioneer in his struggle against humanity,” one Weibo user wrote, according to WhatsOnWeibo.com. Although initial reports all suggested that the robot acted of its own accord, Sina.com says that the incident was in fact caused by human error. An official at the tech event said that someone simply mixed up the robot’s ‘forward’ and ‘back’ buttons, sending the robot crashing into a display stand and injuring the unfortunate bystander. So, not a declaration of war and not even the robot’s fault – however, the poor thing still looks pretty upset about the whole episode.